The Network IP Camera provides the perfect solutions for delivering videos over any network employed for remote monitoring or transmitting real-time remote images over the Internet or Intranet. 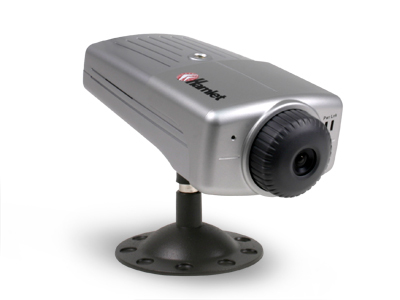 This Hamlet camera is a standalone system with built-in CPU and web-based solutions connecting direcly to Fast Ethernet. It can be managed remotely, accessed and controlled from any PC or Notebook over the Internet or Intranet via web browser with streaming video anytime anywhere.